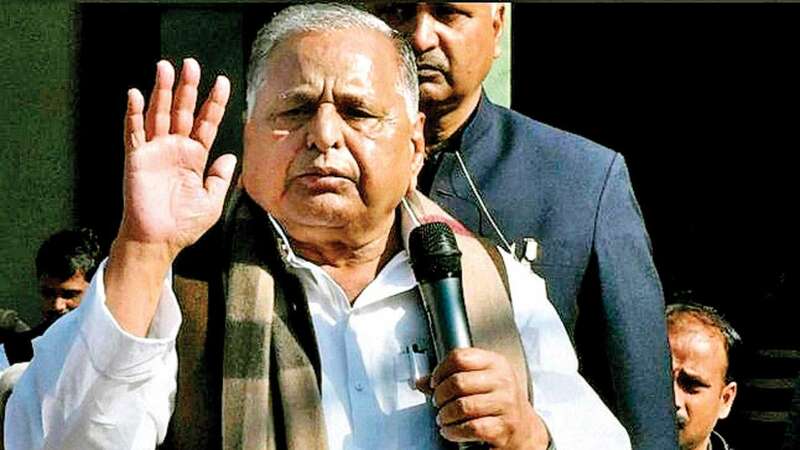 A decade after the Central Bureau of Investigation found prima facie proof of corruption against Samajwadi Party chief Mulayam Singh Yadav and his two sons, the Supreme Court on Monday asked the agency whether it went ahead to book the trio under the Prevention of Corruption (PC) Act. The occasion for the Court to put the former Union Minister and his two sons – Akhilesh Yadav and Prateek Yadav – in a spot was provided by an application filed by Congress worker and lawyer Vishwanath Chaturvedi. It was Chaturvedi who had initially moved the SC in 2005 seeking a probe into alleged disproportionate assets amassed by Mulayam and his family. On March 1, 2007, the apex court allowed the CBI to file a preliminary enquiry and launch a probe. The CBI presented a status report on October 26, 2007, saying it had found material against against the father and his two sons, prompting them to file review petitions. Five years later, the SC gave a free hand to the CBI to proceed with its investigation against all except Dimple Yadav, against whom proceedings were dropped. Since that day, Chaturvedi said in his application, there was no word on whether a regular case, which implies FIR, has been registered. A bench of Chief Justice Ranjan Gogoi and Justice Deepak Gupta issued a notice to the CBI and sought its response on the application in two weeks. The significance of the order could be gauged by the reaction of Mulayam's lawyer, senior advocate CA Sundaram. He pleaded to the SC to defer the hearing as any statement by the court would create sensational headlines against his client, who is contesting the Lok Sabha elections. But the bench said, "There is a Status Report of CBI of 2007 which says a prima facie case is made out. All we want to find out is whether a case for filing RC is made out. How do we keep this application in abeyance when we are issuing notice on it?" The CBI had found that the value of the assets of the entire family was Rs 24 crore in 2013 of which assets worth Rs 9 crore had been acquired through unexplained means.